I really owe you an apology. Not only because of my radio silence over the last 8 weeks, but because I honestly thought I’d already written about this recipe. My excuses for the first failing: we moved (! ), midterms happened (and now finals are happening) and Stella got her first fever and four teeth which came with a pretty tiny but pretty mean ‘tude, meaning I couldn’t put her down for a week or two. But as for the second failing, I have no excuse. This is one of those recipes I turn to when I want to bake something special but not fussy. I have one in the oven as I type, and made a few two weekends ago on Francesco’s request. 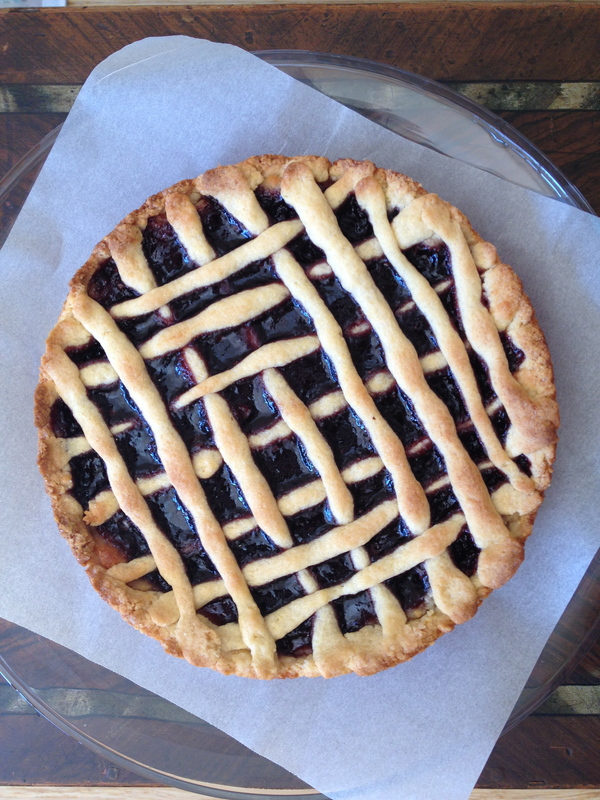 Crostata is an Italian breakfast classic, one of his favorites, and so, so pretty. I’m far too lazy to properly lattice the top, but even so it looks like a million bucks. 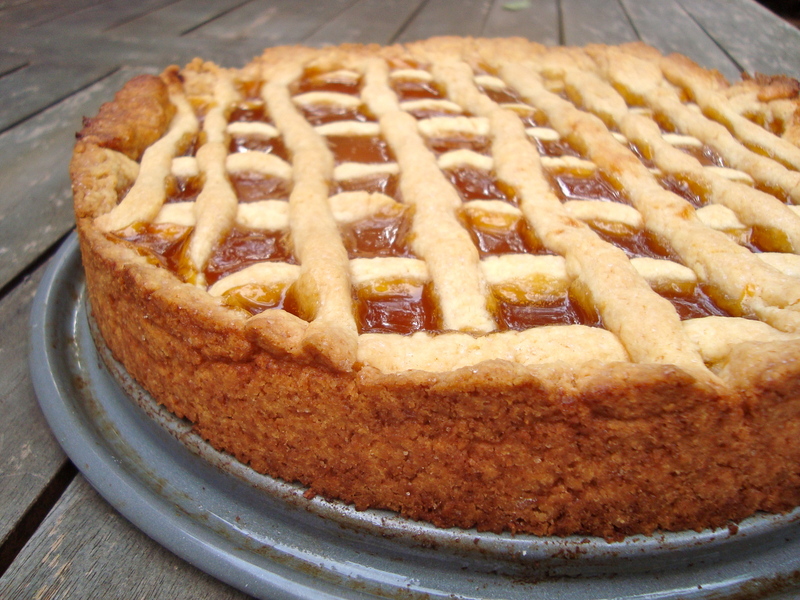 I first became acquainted to crostata in Rome, where the Jewish ghetto has a bakery that makes a few kinds of crostata that I would probably include in my last meal. I wrote about Boccione awhile back, and still dream about it. For those of you in or near Rome (I’m looking at you, Yetta! 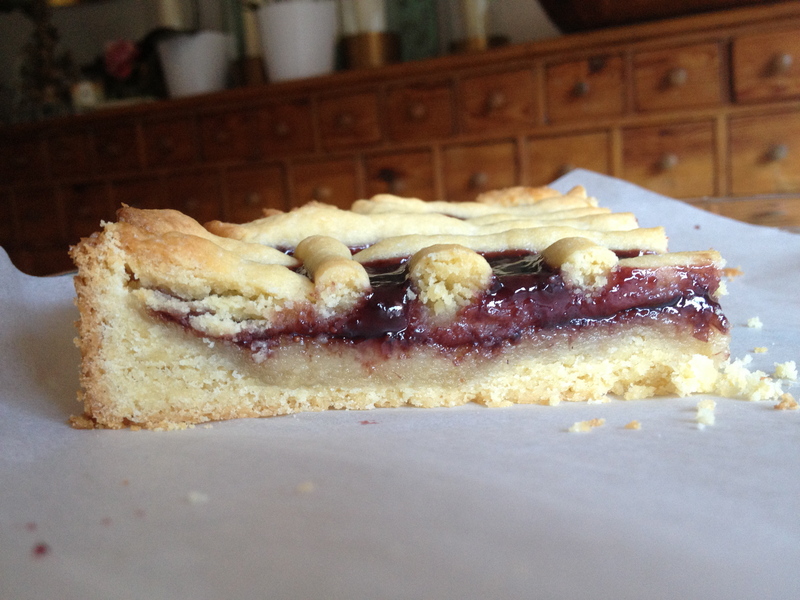 ), their crostata with mandorle and viscole is well worth a long queue on a Sunday morning. This recipe is not exactly a replica of Boccione’s, but it’s a pretty good take on an old Italian standard and, as with everything I share here (and even attempt to make) it’s not difficult or too time consuming. The crust dough, so often a baker’s nightmare, magically comes together without much trouble and lends itself perfectly to being rolled out into strips for the topping. There’s no need to chill or wait or even use any sort of baking tool. I just use my hands all the way through. It was the first thing I baked in the new house and the oven (which is old, ugly and small) proved its worth. The classic filler is jam – usually apricot or, in Rome especially, viscole – wild cherries. But you can fill it with chocolate ganache, marizpan, preserves, compote, fresh fruit, or a combination. I went to IKEA this morning (for the 4929558th time in the last few weeks) and bought some marzipan, so I laid that out under the boysenberry jam I used to fill the crust. Now I just hope we manage not to touch it until dinner, when I’ll serve it for guests with whipped cream. I’m probably gone to keep my head down for the next month or so as finals are already rearing their ugly heads. I’ll surface in Boston, a little worse for wear (from a 24 hour flight ALONE with a very active little booger), but no doubt ready to get up to my elbows in holiday-inspired butter and cream. Makes enough for 12 servings. Best for breakfast. Preheat 400F/200C. Butter a 9″ spring-form pan and set aside. Put the flour in a large bowl; make a little well in the center and crack the eggs into it. Use a fork to mix the eggs thoroughly, slowly incorporating the flour. Add the chunks of butter and use your hands to work in into the dough for a few minutes. It should be a clumpy. Add the sugar, baking powder and zest if using. 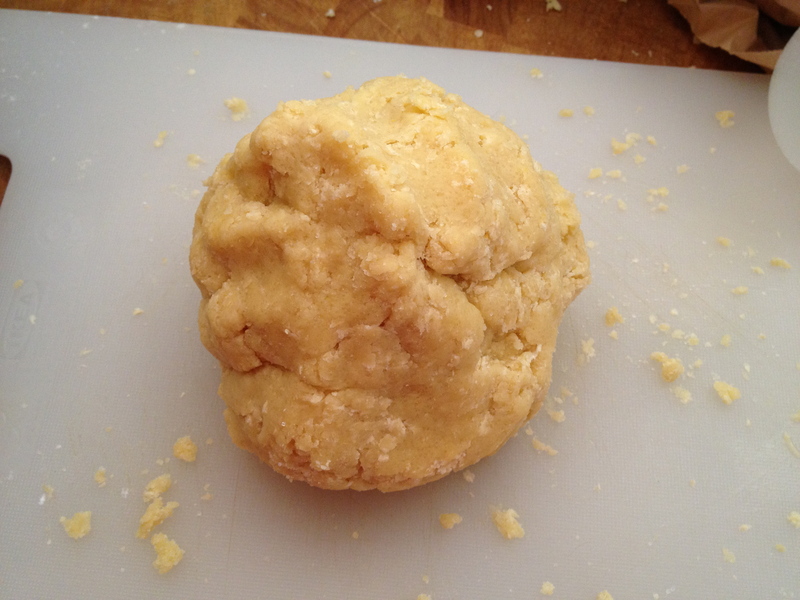 Continue to work the dough with your hands until it starts coming together into a ball; it should be slightly sticky. It doesn’t need to be perfect or clump-free. On a floured work surface, dump the dough out and knead it a couple of time. Break off about 1/3 of the dough (for the lattice topping) and set it aside. Press the larger ball into the bottom and up the sides of the prepared pan. Spread the jam (or whatever filling you’re using) evenly over the bottom. Roll the reserved 1/3 of dough into little balls and then roll the balls between your palms to form long strips for the lattice. 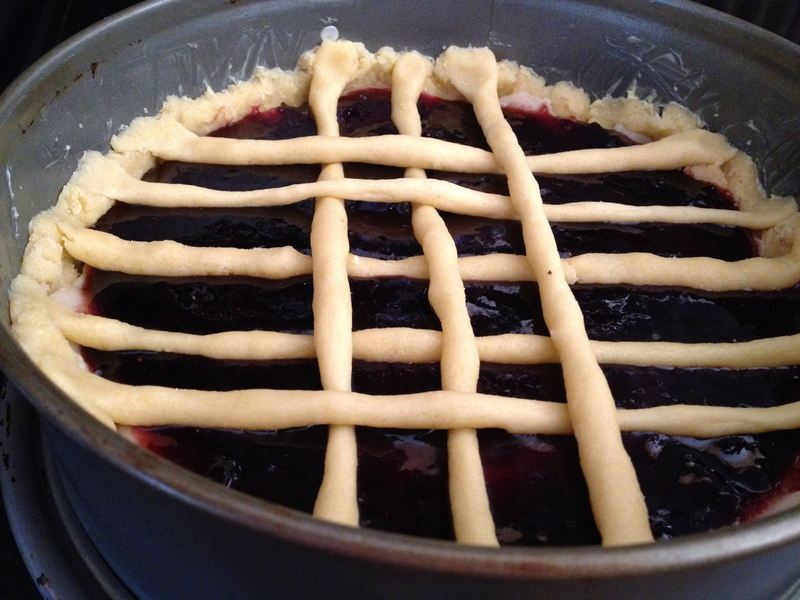 Layer them over the jam in a lattice pattern (which I was too lazy to do properly). Bake the crostata in the preheated oven for 25 – 30 minutes, or until the lattice is golden brown. At last, you are back. This looks like another great one to try. 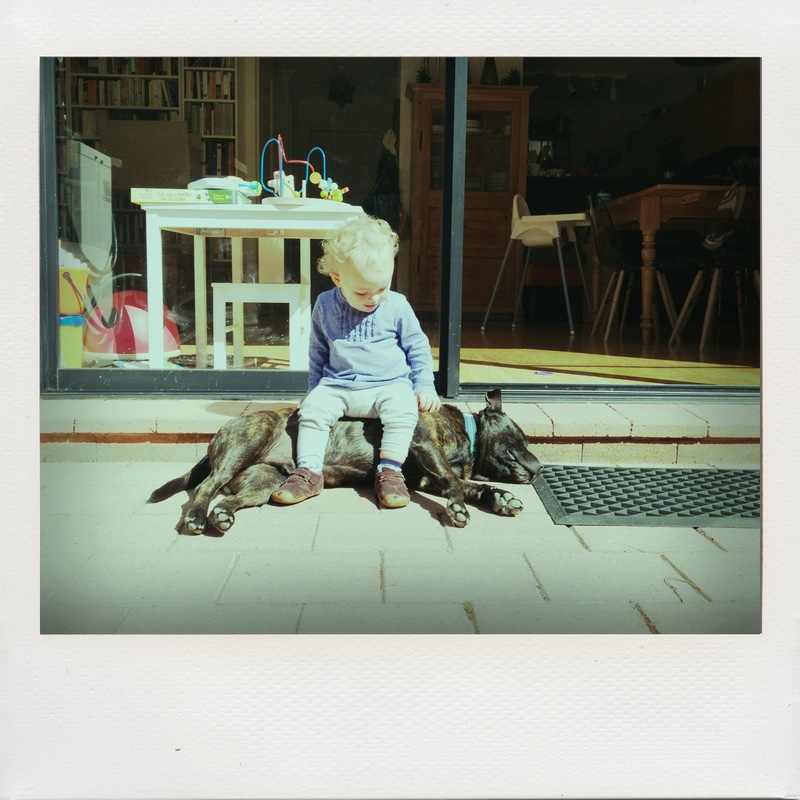 Can’t wait to see you and Stella. Miss you and The Short Lists as well! Welcome back! Oh that bakery! Have you been able to replicate those pizze as well? I, too, dream about that bakery and those pizze in particular. I browsed the Jewish bakeries here in Venice for something similar, but I did not find anything like them. I also wanted to ask you if there are one or two restaurants that you would recommend in Bologna. I will be there for one day next week and I have exactly 7 hours to eat so I must choose wisely. Any advice? Hey Sasha! I’ll answer you via email shortly! !